Somebody ought to buy this guy a Handspring Visor with a digital camera attachment. I absolutely need to give this film 11 bugs, tying it with Sixth Sense and Frequency (which actually has the limit of 11 bugs as approached from above). Go rent it now, before you even read this, if you can even understand it at all. But you’ll spend the entire film up until Nolan wants you to, changing your mind back and forth about whether or not to trust these characters, and it will totally engross you into the heart of the picture. 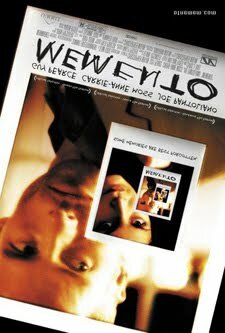 Lenny’s (Guy Pearce) entire memory exists on Polaroids he takes of people (Carrie-Anne Moss and Joe Pantoliano both, of the Matrix) who may be his friends. Because of the film’s structure and premise, it is uniquely able to make up its own rules as it goes along, which gives Nolan a free ticket to indulge himself slightly past the point of acceptability. Which is why I’m glad I saw it with my girlfriend. Anyone willing to accept this will enjoy the film like no other, unless you watch it with Mike or this guy Dan from my bowling class. But when all is said and done, they’re just tiny little pricks that shouldn’t take away from the enjoyment of the film. The storyline is not without it’s cluster of pin-sized holes, small onto themselves, yet numbered enough to let a little light come through. The movie is shot in reverse chronolgy scene by scene, each scene ending approximately just where the previous scene began, often picking up in the middle of the action which will disorient you for the next five minutes of the movie. I was so disoriented at one point, I had to have my sister’s dog Romeo explain parts to me. And the movie is told through his perspective, so it really fucks you up. See the movie was about a Guy who has his wife murdered and gets hit over the head so hard he loses his ability to make new memories, so he tatoos important stuff like “John G. raped and murdered your wife” across his chest. He’s also very good in this movie. I spent a lot of time studying Guy Pearce’s pictures and the tattoos all over his arms, legs and chest and let’s face it, the guy has a nice body. I didn’t want to have to go home and jerk myself around, beating on my head after this movie was over. From that second on, it was like a 4 dimentional timed puzzle I had to try to put together. But I think that was it’s intention. The opening shot was shot backwards with a polaroid being waved in the air and erased, and that’s the last thing I fully understood. But seriously, from the day you were all twinkles in your fathers’ eyes, you haven’t come across anything this original. If you are sitting there thinking “He wasn’t around for that conception,” get passed it. If you want to see a refreshingly unique film with not only a new and excellent premise, but also possibly the most cleverly narrated style since the plot was conceived, go rent Memento. If you want to go see a crappy movie, go see Evolution again.